Austrian Vice Chancellor and leader of the national populist Freedom Party (FPÖ) Heinz-Christian Strache has slammed pro-mass migration activists, saying they bore “joint responsibility” following several migrant-perpetrated murders. Mr Strache made his remarks at a New Year’s gathering of the FPÖ over the weekend in Vienna following a number of high-profile murders of women in recent weeks, several of which involved migrants, Kronen Zeitung reports. 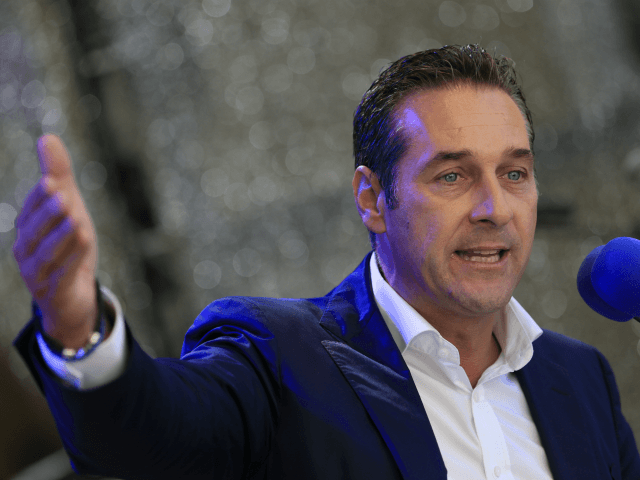 “It would, therefore, be completely wrong to speak here of an increase in violence among Austrians,” Strache told the crowd, railing against those who cheered on migrants as they passed into Austria during the height of the migrant crisis in 2015. The populist leader also singled out FPÖ Interior Minister Herbert Kickl, saying that he had made the country safer since assuming office. Kickl has found success with deportations, with the number of migrants deported from Austria rising by 36 percent last July. The other main target for Strache during his speech was the Austrian Social Democrats (SPÖ) who currently head the local government in Vienna.